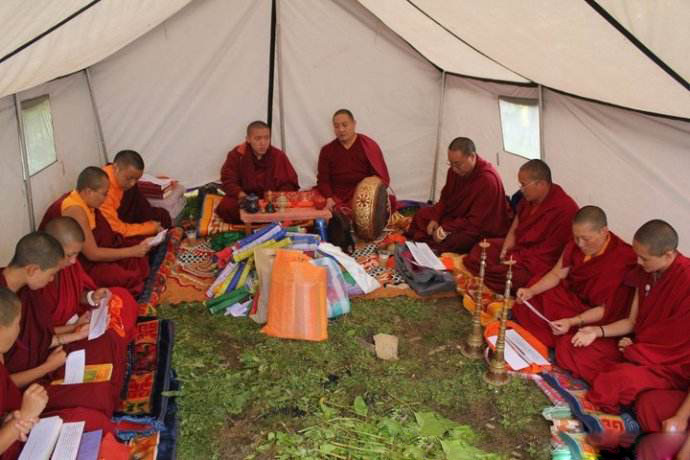 On the 15th day of the 5th month of the Tibetan calendar that is July 31 in 2015, there is a traditional festival called Zamling Chisang or Universal Prayer Day to celebrate Guru Rinpoche's subjugation of the local deities and the founding of the Samye Monastery. In Lhasa, there is the spectacle of large amounts of sang being burned up on the hills of Chakpori, in Bumpari that is on the southern side of the Kyi-chu, and in Gephelri that is behind Drepung Monastery. The Samye Monastery was a temple that Guru Rinpoche presided over and that the first emperor of the Tibetan Empire founded. It is called Samye Monastery because the emperor was said to have been surprised by something. The word “samye” means surprise in the Tibetan language. “Sang” is the Tibetan word for incense powder. Instead of using incense sticks, Tibetans may burn incense powder. Watching the people burn sang and remember the founding of this tradition of Buddhism in Tibet may interest you.